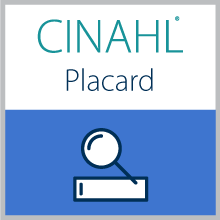 Applies a CINAHL Placard to EBSCO Discovery Service results section. Gives users the ability to display top results from CINAHL separately and then optionally see all the CINAHL results in a different profile. This requires an EDS API profile setup with only the CINAHL database activated.